Carp fishing legend Terry Hearn has been enjoying some bumper carp catches on the rivers this season. As revealed in his recent ‘Lady Pearl’ video by our friends at ESP, Tel has been getting some great river carp fishing results on his own CompleX-T baits by giving them a few tweaks. Here’s how he does it.. 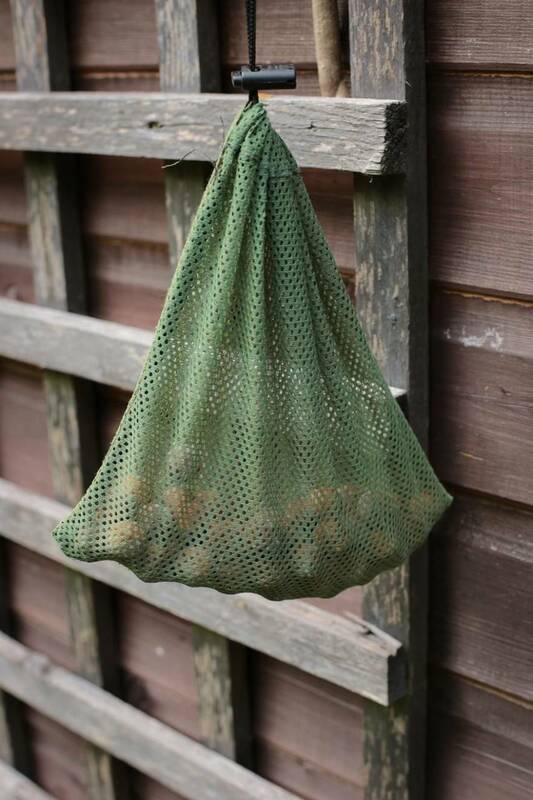 The River Thames contains many small fish as well as Chinese Mitten Crabs, and so to help my hook-baits last the night I like to air dry them first. The thing with air dried baits is they tend to be less attractive, sucking moisture instead of pumping out food signals, and so on the river I often like to use salt in the drying process. 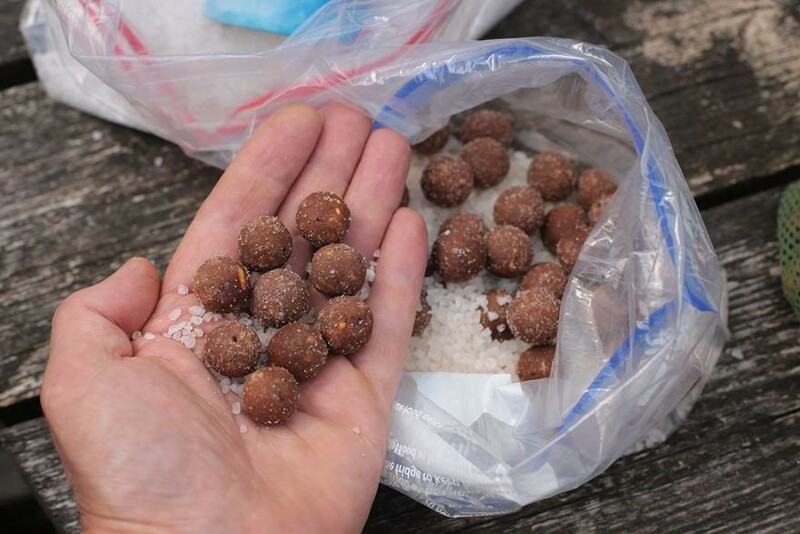 As well as having the desired effect of hardening your hook-baits, salt is also very attractive to carp. Although I sometimes use a small amount of salt on my freebies, this process is more for hookbaits only, as you wouldn’t want to feed them too much of the stuff…just like us really. Take a handfull or two of frozen freebies and drop them into an air dry bag. 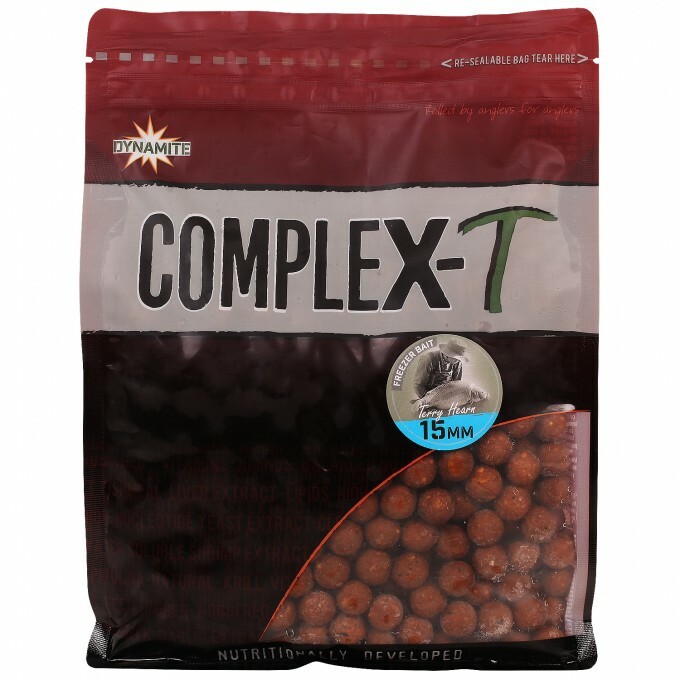 Here I’m using Complex T which is a highly palatable, relatively soft and loose textured bait, and so for hookbaits on the river its a good idea to toughen them up a bit. Leave them to dry for a day or two. Obviously how long you leave freezer carp baits to dry is dependent on where you leave them and how warm it is, but with the heatwave we’ve been getting this summer I found that 24hrs was enough. Drop the semi-dry baits into a bag of pure, natural sea salt. 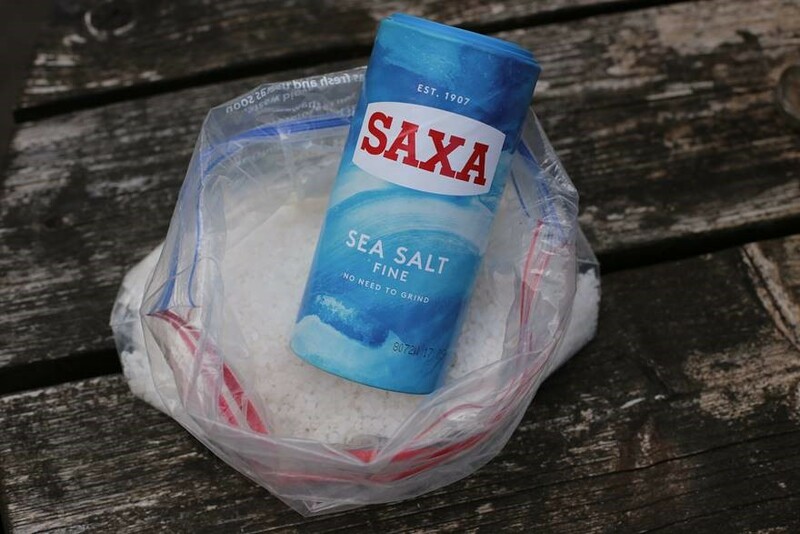 The Saxa stuff from Tesco is just fine. I used a mix of both coarse and fine grain. Seal the bag and then give them a shake every so often. 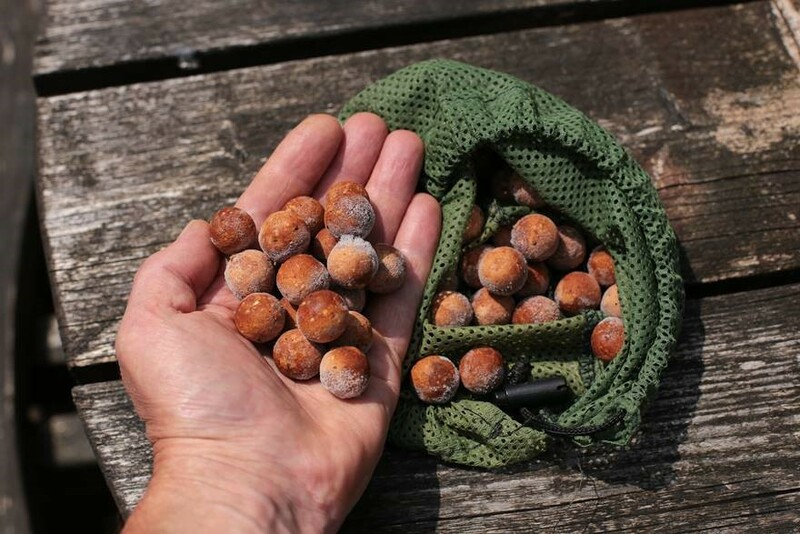 The salt will pull out any remaining moisture towards the surface of the baits, leaving the centres hard. As well as making them ever so attractive, they’re now shelf life so there’s no need to re-freeze. The longer you leave them the better they’ll be, in fact I’m still using up a batch of smaller ones which I made last year. The finished result. Some I made earlier…tough, super salty and super attractive.